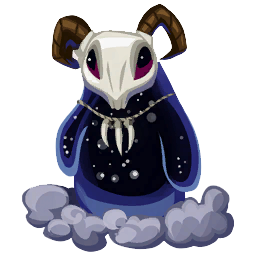 Collecting Voidcritter Cards in The Sims 4 Kids Room Stuff is extremely fun! When you found your first Voidcritter Card you can train it on your Battle Station. When your Voidcritter is strong enough you can challenge other kids in a battle. There are 20 Voidcritter cards to collect. 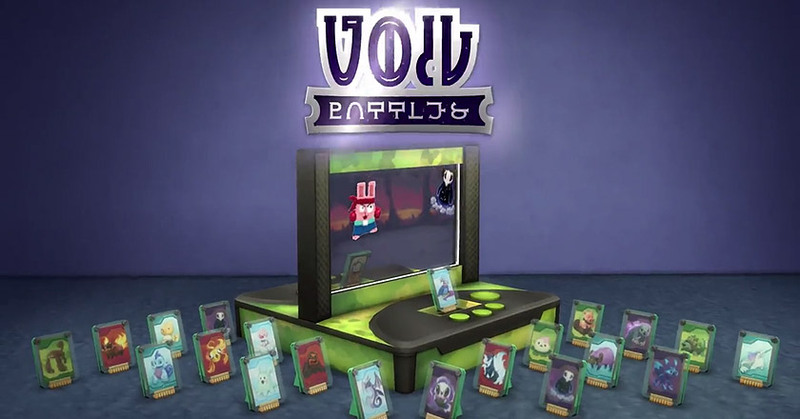 Voidcritters are acquired by ordering booster packs from the computer. Rarer cards may be found by children who search for discarded toys in trash cans or underneath logs that are scattered around the world. Find them in logs or outdoor trash cans. Open booster packs to find the cards. You can find the booster packs in every world in logs and in trashcans. Another option is to buy Voidcritter booster packs on the pc. 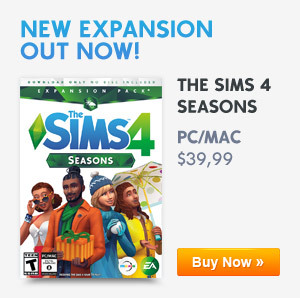 They will cost 25 simoleons for one pack or 125 simoleons for five. When trading cards with another Sim there is a high chance to get a card with the same value back. For example when you trade a rare card there is a good chance you will get a rare card in return. The same thing applies to power levels. After you obtained a booster pack you can open it to claim your Void Critter Card. The description on the card gives you a clue where you can find the card in the world. There are also limited edition foil cards to be found in the world, you’ll have a higher chance of finding them if you trade rare cards or find them in the world. 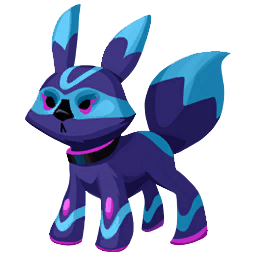 You can also unlock all the Voidcritters with the Buy Debug mode cheat (adds extra objects in buy mode) found on the Cheat Code page. 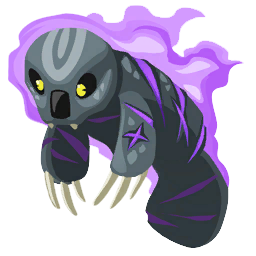 Collect all 20 Voidcritters with 5 different elements. 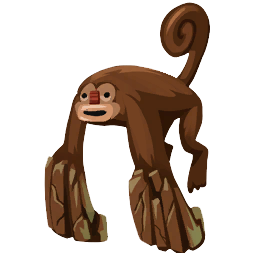 Originally from the salt waters of their homeworld, the friendly demeanor of Kampos’ causes them to commonly gather in large schools near harbors in densely populated areas. Leif first discovered the Kampos in episode 12 when he followed their lilted song to the water’s edge, where a gathering of Kampos bobbed on the water’s surface while performing under the moonlit sky. 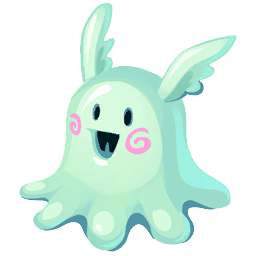 The gelatinous texture of Meduso’s body can be deceptive. Its amorphous shape is as weightless as the feathers that adorn its head, giving it the ability to drift through the air and avoid danger. While often mistaken as a mouth, the cavity in its face is in fact an enlarged nostril, giving it a predilection to track down the source of intensely fragrant smells. Episode 20 saw a flock of Meduso latch themselves onto a perfume saleswoman, causing chaos at the local mall. Leif cleverly helped lure the Meduso away with the scent of succulent meat when he fired up the grill in a nearby park. These helpless looking critters mimic the budding plants that share their forest home. Generally slow moving and lacking extremities to defend themselves, Nymphaea prefer to use their pollen to charm others into protecting their groves. When under extreme duress, they’re known to produce fungal spores that invade animal hosts and allow them to propagate their species in a safer environment. Episode 19 dealt with several Nymphaea that took over a flower shop and started reproducing at an alarming rate. It took all of Leif’s ingenuity to free his friends from their hypnotizing pollen and relocate them to a remote nature preserve. Drawn to the gloomy like a moth to a flame, Wisps feed on negative emotions. These tiny critters have a ravenous appetite, but have found this planet full of emotional Sims to be quite hospitable. They possess the ability to phase in and out of our visible dimensions, and Sims who find their mood inexplicably improving are often unwittingly serving as hosts to a hungry Wisp. In episode 6, Leif first encountered Wisps when a trio of them attached themselves to a classmate. He initially tried to ward them off, only to realize their presence was actively helping his classmate’s mood improve. The small dog-like monster called a Yorier lives among large rock formations found in its home world’s deserts. Burrowing deep into the soft rock, Yoriers breathe fire into their dens before dusk to heat the earth until morning. Episode 3 saw Leif receive a letter from his pen-pal Lora in Oasis Springs. She spoke of befriending a Yorier who she’d nursed back to health after discovering it on the verge of death. The poor thing had attempted its nightly ritual of breathing fire onto the desert rocks before laying down for the night, only to suffer from a heatstroke. The critter was blissfully unaware that it never actually gets cold in Oasis Springs. 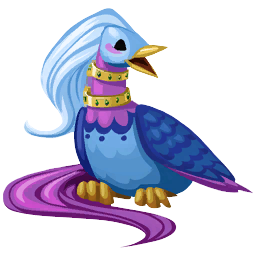 The Avesu, or Gem Snatching bird, lives high in the mountains on its home world. The species struggled to adjust to sea level conditions after its appearance in our world. As it became acclimated to highly populated areas, it developed an attraction to shiny objects and precious stones. Episode 5 saw Leif’s rich uncle Mervin attacked by an Avesu, which was particularly charmed by his bedazzled cuff links. Subsequently, Leif and his friends tracked the bird to its nest where they discovered the Avesu had adapted to use the gemstones to protect their eggs from predators. These gentle giants are often found floating in the middle of lakes, feasting on underwater or shoreline plants. If threatened, Bubalus will charge their offender with surprising speed. 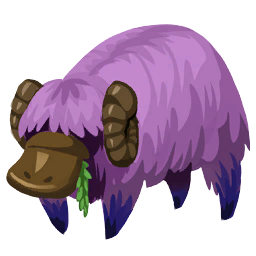 This critter was introduced in episode 2, when Leif’s friend Finn met his Bubalus after it took up residence in his backyard fish pond. Floating along in air currents produced by its own body warmth, Cyprin live near the mouths of active volcanos. While Cyprin’s outward appearance is fishlike in nature, its tails and fins are actually flames it manipulates to help propel itself. When they warped into existence in Leif’s hometown in episode 13, Cyprin interrupted a county fair by warming themselves over grills at the various food stands. While they were immediately shooed away due to health codes regarding food preparation, they found themselves at home in the tent of a traveling fire eater who was performing at the fair. 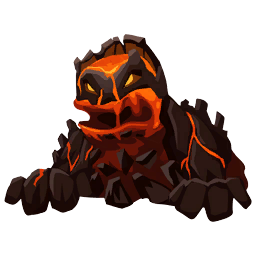 Born from volcanoes, Fissures burst forth from the ground when they reach adulthood after eating their way through the planetary crust. They’re known to form a symbiotic relationship with Cyprins that act as their eyes and ears, in return for enabling Cyprins to survive in regions that lack magmatic activity. In episode 18, Leif tripped over a Fissure that had entered a dormant state due to a lack of sufficient heat to keep its body molten. He was able to help the creature by convincing a local smelter to let it bathe in her furnace during work hours. Encased in living stone that it can shape at will, ancient Mythemes are thought to have created the Voidcritter’s lands and islands in millennia past. Despite their slow pace, their absolute command of the elements makes them a difficult foe in battle. Leif’s friend Barry had a near death experience in episode 4, when a parkour mishap at a construction site caused a section of scaffolding to give way. A powerful Mytheme happened to be nearby, and it rapidly shifted a pile of gravel to brace the collapsing structure, giving Barry just enough time to scramble to safety. Indebted, Barry swore an oath to protect and battle alongside all Mythemes. 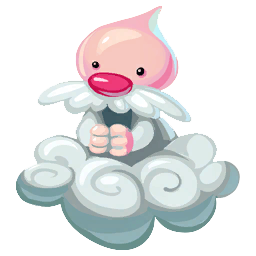 Often found resting high above the ground on a self-made cloud, Nimbus tend gardens of their own creation by supplying them with daily rain. A Nimbus first clashed with Sims in episode 15. One Nimbus created an impeccable garden on the outskirts of Leif’s hometown, but several teens playing hooky brashly decided to vandalize the carefully cultivated land. The Nimbus responded in kind, harassing the teens daily with thunder, lightning, and hail. Leif was eventually able to convince them to return to the scene and till the soil so that the land could grow once again. 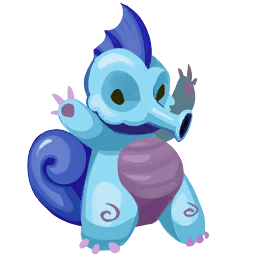 The amphibious Pleuro are known as the lake protectors, shooting powerful jets of water at predators to keep them at bay. They were introduced in episode 7, when they caused an uproar at Leif’s local community pool. After storming the pool to claim it as their new nesting ground, they were seen enjoying the toys and refreshments that were left behind as sims fled. At home in landscapes littered with cylindrical rock formations, Simgaia traversed their unique biome by swinging from pillar to pillar using the vines of plants that hung from outcroppings. Such behavior reinforced the musculature in their front limbs, causing them to pack quite the punch. Episode 14 focused on a troop of Simgaia attempting to settle amongst a block of high-rise apartments, using electrical cables they’d ripped from poles to swing to and fro. After causing a massive power outage, Leif was able to coax them to the outskirts of town where they would be less disruptive. In the depths of the Mauven Forest on its home world, Vulpes’ used their ability to manipulate gravity to blend in with the violet leaf canopy when hunting their prey. 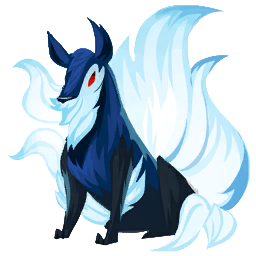 While the Vulpes’ dark purple and blue coat has made it difficult to conceal itself in its new surroundings here, its gravity bending powers experienced a substantial boost, as its original home is 114% the gravity of our own planet. In the show’s premier, Leif found his Vulpes while it was under control of a mysterious force. Since saving him, the pair have been inseparable, dealing with the trouble other critters cause around town. Wickyn are the embodiment of terror, who control a foe by probing their mind and manifesting their greatest fears. 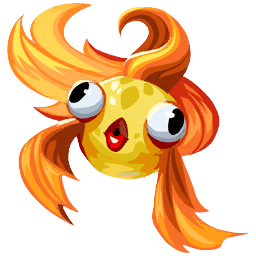 They lower their enemy’s defenses by crossing their eyes and projecting a derpy appearance, causing their opponent to massively underestimate them. 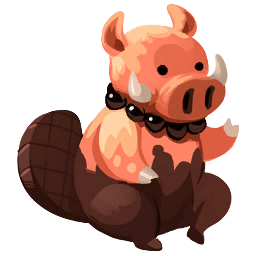 Throughout the series Wickyn have been seen aiding antagonists by coercing other powerful critters to do their bidding. They control these docile critters via projected hallucinations, with the promise of freeing them after their dirty work is complete. 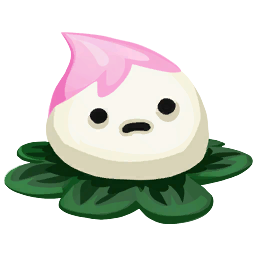 Leif has vowed to stop this critter from causing further havoc, but has yet to devise a plan to shield his mind during battle. 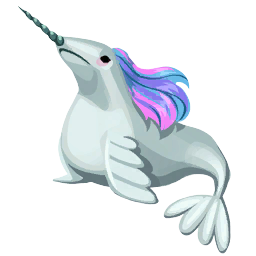 A prideful critter that inhabits its world’s artic waters, the Arcticorn uses its sharp icicle horn to hunt and joust against other Articorns to prove superiority. 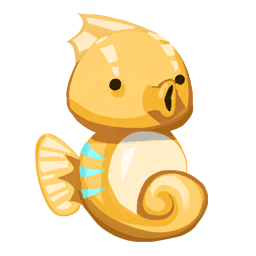 Articorns were introduced in episode 17, when the first one to arrive in this world speared a pack of fish that was being hauled in by a fishing boat’s net. The Articorn turned aggressive as it thought the fisherman were attempting to lay claim to its kill. Leif was forced to battle the Arcticorn, and the Articorn was convinced to live in harmony with the fishermen once a pecking order was established. 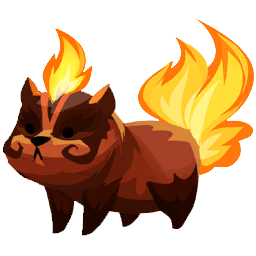 A powerful critter, the Canis is able to coat its ashen black fur in flames burning at greater than 1400 degrees Celsius. 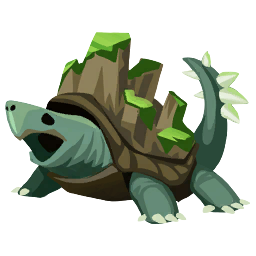 This naturally destructive power makes it an outcast amongst other species, despite its naturally pleasant disposition. Canis are left to wander lands recently ravaged by forest fires in an attempt to not be run off by those fearing an uncontrolled burn. In episode 8, Leif races against time to put out fires started by an out of control Canis. The fear of suddenly appearing in another world caused the normally peaceful Canis to rampage through the town, creating a crisis for a municipality with no local fire department. 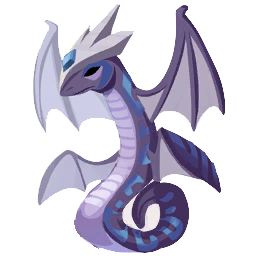 The flying serpent Dicoatl is a skilled hunter of the skies. Its battle abilities include creating strong gales of wind with its wings, and a gem on its forehead which it can illuminate to signal other Dicoatl. A heartfelt moment in episode 10 brought the species to prominence. Leif’s classmate Ellie used her Meduso to defeat an aggressive Dicoatl, then sympathetically offered to take the critter under her figurative wing. Since then the two have been inseparable, with Ellie often seen teaching it dogfight maneuvers in the local park. With a keen ability to sniff out metals buried deep in the earth, Suintors build their homes out of the rocks and soil they dig through to find their food. Unlike the ivory tusks of our planet’s boars, a Suintor’s tusks are made from lonsdaleite. This has led scientists to hypothesize that their home planet was ravaged by meteorite impacts during the time when Suintors evolved to take their current form. When a Suintor found its way into Leif’s town in episode 9, it built its home on the median of a busy street to stop the delish meals that it observed passing by at high speeds. Leif took pity on the confused critter and convinced it that vehicles are not good sources of food, saving it from a fate of being hunted by insurance adjusters. Mysterious and unidentified, Veild are known to appear and disappear within a strange fog that it commands at will. It’s said that Sims become transfixed in the presence of a Veild. Looking upon their form gives the impression of gazing deep into the galaxy itself, as the pattern of a star map shifts across their skin. The tribal necklace they wear seems to indicate an ancient form of space magic that the Veild wield. An enigmatic force in the show, Veild have both aided and hindered Leif and his friends on several occasions. No one knows what a Veild’s motives are, but they appear to watch over the other critters that have come to our world. 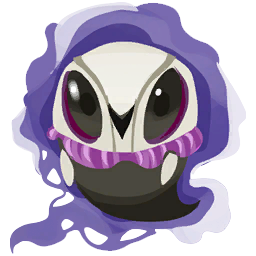 Your appreciation for Voidcritters of all elements knows no bounds! You… the protector of flame, forever may it burn. You… defender of the earth, stoic and firm. You… speaker for the void, its dark mysteries preserved in your mind. You… champion of the wind, swift to an allies side. You… safeguard of oceans deep, channeling torrents of furious water. This plaque commemorates that Voidcritters far and wide shall know your name and sing your praises, from this planet and onwards throughout the galaxy. When dueling against another Sim you have a higher chance to win when your Voidcritter is a higher level or has the stronger type of element. Only children can see the true elemental powers of Voidcritters when they’re brought to life on the battle station. When your Sims grow older you can pass along your leveled up critter cards to the younger generation. If you have The Sims 4 Get to Work you can even sell the cards at the retails store. This is a nice addition to a toys store. Only children can look for discarded toys in logs or trash cans. So, derpy has finally become common vernacular? XD Naw but really, I’m Pokemon trash and I’m excited that we have activities exclusive to children now.